Lake Baikal is called the "Blue Eye of Siberia," "Sacred Sea" and "Diamond of the Planet" due to its uniqueness and being the largest fresh water lake by volume in the world. It is not only clean and transparent, but also contains so few minerals and salts that its water is virtually distilled. 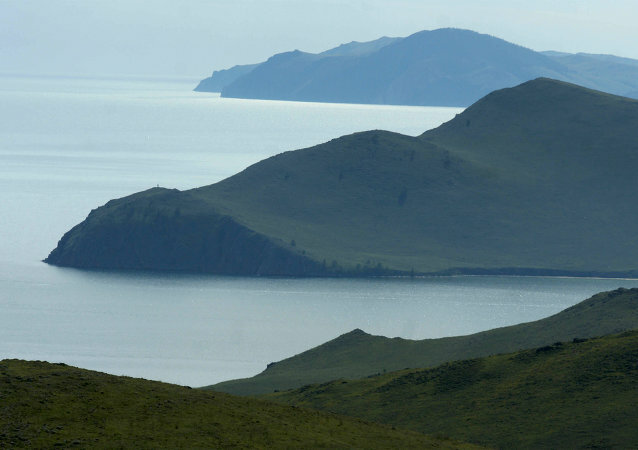 The incident involving a light aircraft occurred near the island of Olkhon in Lake Baikal in Russia's east and reportedly didn't result in any casualties. The most transparent ice in the world is known to be Lake Baikal's. 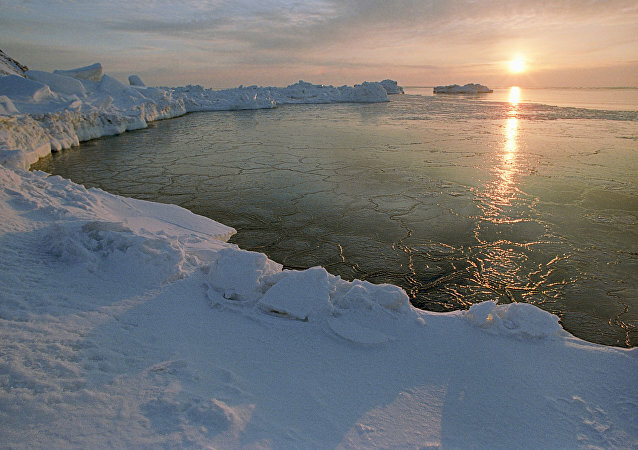 The thickness of the ice in winter reaches up to 1,5-2 meters, it can sustain a vehicle of about 15 tons. Enjoy a selection of lofty images snapped by Sputnik’s photographer at the legendary Siberian Lake. A skating rink in the shape of a heart has appeared on the ice of Lake Baikal. It is possible to glide over it both during the day and at night thanks to a special illumination. The "Original Russia" festival is celebrating its five-year anniversary: the project has become one of the main platforms for nature photographers from all over the country. 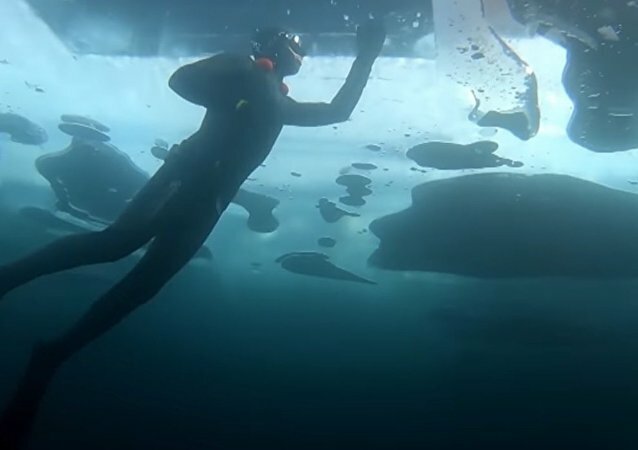 Andrei Bugai, an extreme swimmer from Irkutsk, dived to a depth of 26 meters under the ice of Lake Baikal wearing nothing but his swimming trunks and a mask. 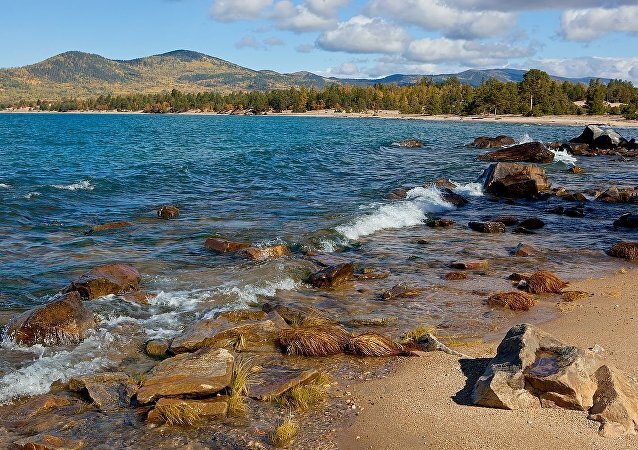 Lake Baikal, known as the planet’s oldest, deepest and clearest freshwater lake has always been attracted a lot of attention from around the world, and that is not just because of its prominent titles. Enjoy a selection of airy images snapped by Sputnik’s photographer at the legendary Siberian lake. Russian President Vladimir Putin has ordered the government to liquidate the negative environmental impact produced by the closed down Baikal Pulp and Paper Mill, once a major polluter of Lake Baikal, the largest fresh water reservoir in the world, the president's administration said Thursday. Russian President Vladimir Putin on Friday ordered the prosecutor general’s office to look into illegal polluting activities around Baikal, a once pristine freshwater lake in southern Siberia. The multi-staged Baikal 2017 Sled Dog Race kicked off in the Russian city of Irkutsk. The Arctic region development issueas and preservation of Lake Baikal will be the cornerstone of Russian exposition at the EXPO 2017 exhibition. Chinese cooperation LeEco intends to export drinking water from Lake Baikal and has already entered negotiations with the governor of the Irkutsk region, Izvestia reported. There are some places on the Earth which everyone should visit at least once. Lake Baikal in Russia's Siberia ranks somewhere at the top of this list, and the following brilliant timelapse footage shows why. The Dubna cluster comprises 192 optical modules which are immersed at a depth of up to 1,300 meters. It is one of the three largest neutrino detectors in the world. 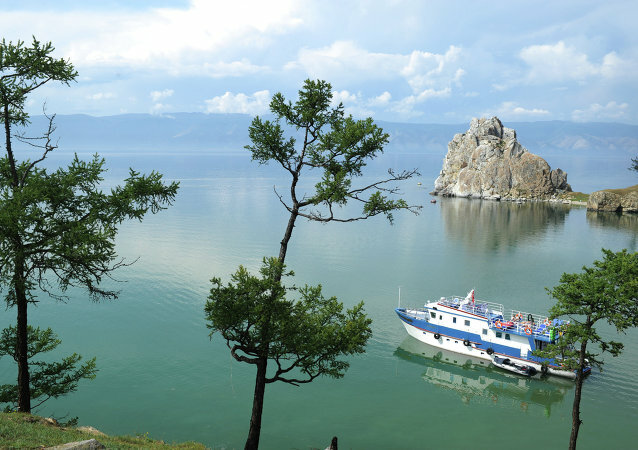 The level of water in Lake Baikal continues to decline due to the water shortage, with the last few days witnessing the level drop to 455.91 meters, which is 9 centimeters below the critical level. 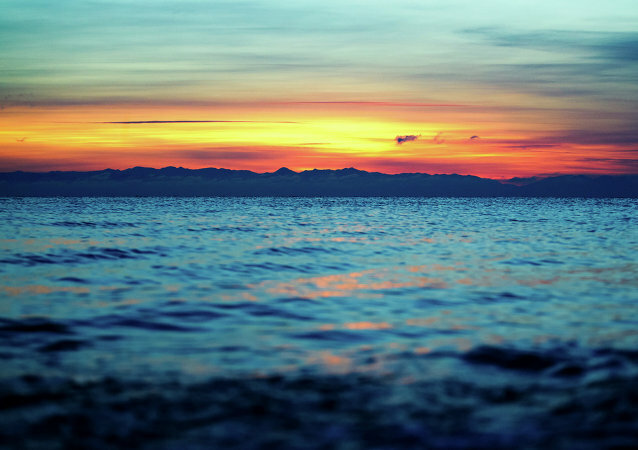 Water level in Lake Baikal in Russia, the world’s largest freshwater lake, fell to a record low for the 21st century. Environmental experts told Sputnik that the current low water levels on Lake Baikal could mean difficulties for local communities as well as major cities, while a lack of clear regulation complicates the debate. The Russian government has introduced a state of “heightened readiness” to reverse the drop in water levels in Lake Baikal, resulting from last year’s drought that had hit large swathes of Central Russia, including the Volga River, Gennady Gudkov, media spokesman for the Ministry of Natural Resources and Environment told Sputnik on Wednesday. Stanley Cup winner Valery Kamensky and a gaggle of other Russian hockey stars gathered Friday to play a historic game on the frozen surface of the world's deepest lake, Baikal in Siberia. The first torchbearer for the Sochi 2014 Winter Games relay, to start on Red Square on Monday, will be five-time Olympic synchronized swimming gold medalist Anastasia Davydova, organizers have said.